Many know Lake Tahoe as a popular winter recreation destination. For those that live here full-time, there is no lack of recreation and entertainment year-round. As spring begins to bloom and the days grow warmer, summer is right around the corner. So let’s take a look at a few reasons to get excited for Tahoe summer! The Tahoe region boasts weekly live music in a number of amazing venues. 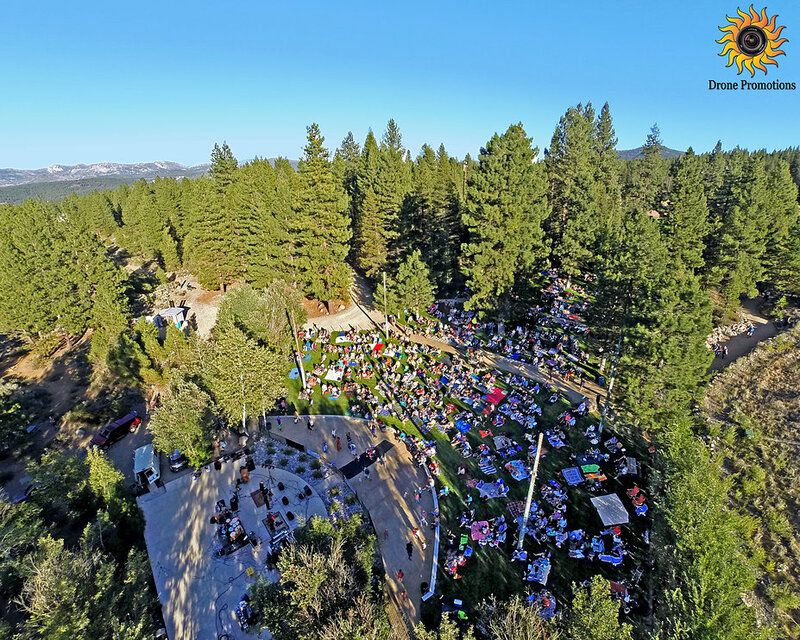 The Truckee Amphitheatre hosts Music in the Park every Wednesday evening from June 17th to August 26th at Truckee River Regional Park. This free event features a new band every week and attendees often bring blankets to lie out on the amphitheater grass for the evening and enjoy their picnic dinners and preference of adult beverage. Commons Beach on Lake Tahoe also hosts its own weekly live music series during the summer months. This summer’s series will begin on June 19thand continue through September 4th. Check out the 2016 Commons Beach Music Lineup here. There are also a number of popular venues surrounding the lake that host amazing live shows throughout the summer. The Lake Tahoe Outdoor Arena at Harveys, for example, will host James Taylor, Tim McGraw, Don Henley, Keith Urban, Steve Miller Band, and many other notable names throughout this Tahoe summer. Rumor has it that Elton John may also be gracing the Tahoe basin with his presence this summer. One of the biggest questions heading into Tahoe summer is whether or not the upper stretch of the Truckee River will hold enough water for the river rafting outfitters to open their doors. Unfortunately, low water levels have stymied the rafting season the last couple years, but there is reason to believe things will open back up again this summer. Starting from just below Fanny Bridge in Tahoe City, which is named for its most popular sight, rafters float more than five miles down to River Ranch. The stretch is perfect for a lazy afternoon activity, but don’t get too comfortable! There are a few sections that do require a bit of concerted navigation. The Truckee River Raft Companyis the original whitewater outfitter offering raft and PFD rentals for this stretch of the river. There are few activities more enjoyable than relaxing on a boat on the waters of Lake Tahoe or Donner Lake and basking in the warm Tahoe sun. Wakeboarders, slalom skiers, wake surfers, and tubers are frequently seen enjoying a tow behind boats on both lakes.When water levels are high, Stampede and Boca reservoirs are also popular destinations for boaters, as they provide warmer waters and are a bit more protected from wind than the big lakes. Sitting on your boat out on Donner Lake during the annual Fourth of July fireworks display at West End Beach is also quite the spectacle. Fortunately for those more inclined to operate a waterborne vehicle under their own power, the lakes in the Tahoe region have plenty of space for all types of recreation. The popularity of kayaking and paddleboarding continues to grow in the region, and there aren’t many summer mornings when you don’t see a few lucky souls enjoying some peaceful time on the water. Tahoe City Kayak and Kayak Tahoe provide both kayak and paddleboard rentals on their respective ends of the lake. The Tahoe Adventure Company also offers rentals and daily, guided kayak and paddleboard tours. In Truckee, Tahoe Sports Hub and The Backcountry offer kayak and paddleboard rentals. For Tahoe Donner homeowners, kayaks and paddleboards can be rented at the Tahoe Donner Beach Club Marina. Get Excited For Tahoe Summer! If you’ve been toying with the idea of purchasing a home in the Truckee-Tahoe area, now is the perfect time to ramp up your search! Enlisting the help of an experienced realtor like Ann Nguyen will help you find the perfect home and get settled in time to start enjoying all that Tahoe summer has to offer. Please don’t hesitate to give Ann a call/text at 530-545-3458 today!